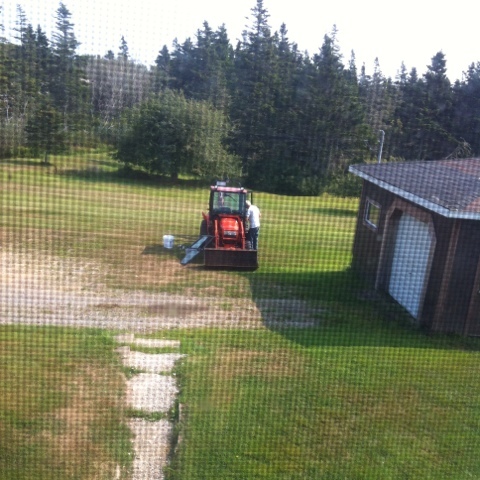 This week, Mat's Uncle brought over a tractor so we could dig around the property for the next month. We have a lot of odd jobs that need to be done, from moving large boulders, to replacing a line from the well to the house. This week we accomplishing the walkway. With Bernie's help, of course. 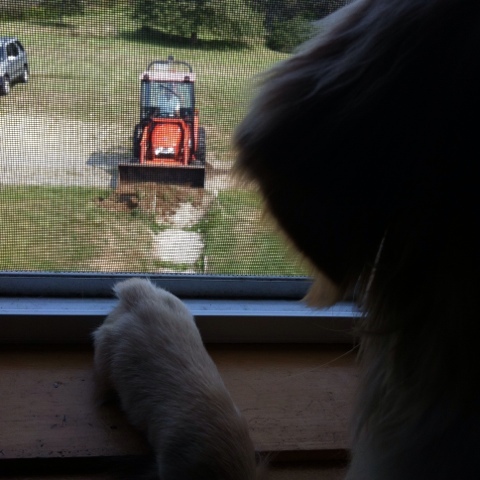 Tractors and other heavy machinery are very entertaining to watch. 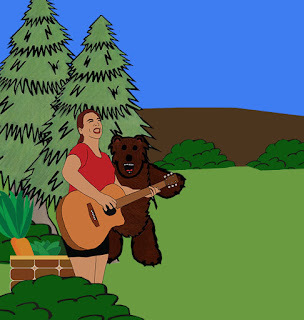 Even the dog enjoys watching it. Before long, we had people pulling in to help/watch. 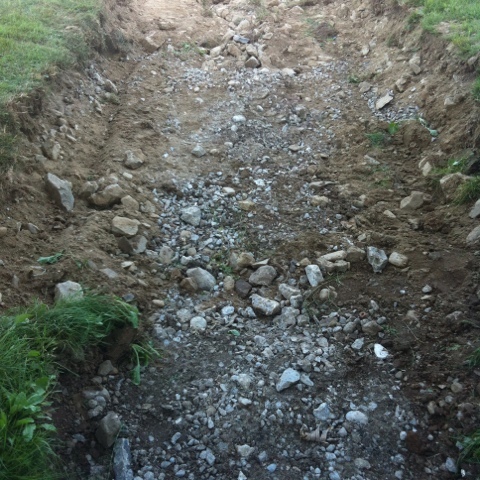 The cement blocks were heavy and larger than excepted. Much of each block was covered with dirt and grass. We are really grateful for family. 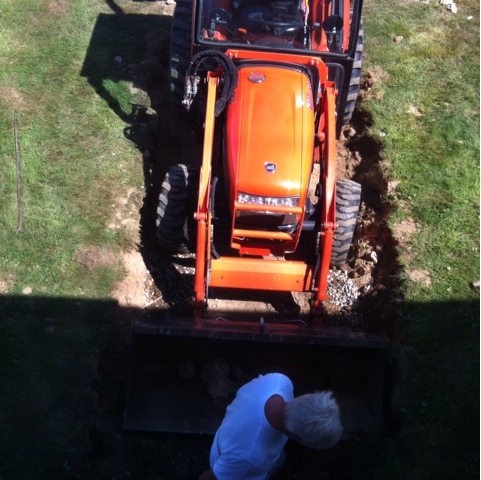 It was nice of Mat's Uncle to lend us the tractor and to help us dig up the walkway. 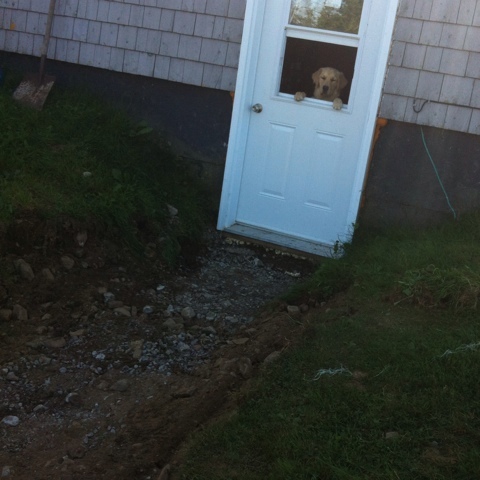 We still have to widen the walkway near the house. It will look amazing in a few weeks. I can't wait to post updates.